Impey has released a new instructional video, illustrating how a wetroom can be quickly waterproofed using its WaterGuard tanking membrane. Waterproofing, or tanking as it is commonly known in the plumbing trade, is a failsafe way of guaranteeing a leak-free wetroom installation, according to Impey. Consistently one of the hottest topics on the company’s We Are Wetrooms training tour, Impey’s new video illustrates how simple it is to achieve a leak-free wetroom installation prior to tiling. WaterGuard is Impey’s best-selling tanking product, which comes with a lifetime guarantee. Consisting of a 1mm thick self-adhesive membrane, which is applied throughout the wetroom, across the floor (and, also on the walls if specified), WaterGuard turns the room into a large, watertight ‘tank’. Impey’s WaterGuard is quick and easy to apply and, once installed, can be tiled upon straight away. Do I need to waterproof the walls in a wetroom installation? Time and budget spent on waterproofing is imperative to the creation of a wetroom, according to Impey, which not only looks attractive, but performs successfully too, offering peace of mind for you and your client. The key to achieving effective waterproofing is to create an entirely watertight barrier on both the floor and walls, to guard against any potential leaks and create an ideal surface on which to begin tiling. Effective waterproofing ensures that the wetroom you have fitted stays leak-free for the duration of its lifespan. To safeguard against leakage, Impey recommends waterproofing walls and floors as a ‘belt and braces approach’ to installation, eliminating the danger of leakage, which can be damaging to the structure of the wetroom, or potentially the structure of the building itself. What are the decoupling allowances for waterproofing membrane? Decoupling properties can vary from manufacturer to manufacturer. Our WaterGuard tanking membrane is 1mm thick and has decoupling properties of 10mm. Because WaterGuard has inbuilt decoupling properties, there is no need to buy an additional decoupler – therefore saving time for you and budget for your client. What are the load bearing capabilities of tanking membrane when used on the wall? You’ll likely be tiling straight onto the tanking membrane so good load-bearing properties are essential to guarantee safety when using large or heavy wall tiles. The WaterGuard waterproofing product has a load-bearing capability of 30kg/m2 – enabling the use of substantial wall tiles whilst maintaining the waterproof guarantee. If in doubt, check the manufacturer guidelines for tanking membrane you’re working with to ensure it is safe to use with your chosen tiles. What guarantee does a waterproof membrane have? Again, this will vary depending on the brand of membrane you have chosen. Impey’s WaterGuard membrane has a lifetime guarantee – which is based on the lifetime of the tiles initially fitted to it. Once the original tiles are removed, the guarantee is no longer valid, as it is possible that the membrane may become damaged or compromised by the removal of the tiles. Can WaterGuard be installed on to other brands of floor former? Impey’s WaterGuard is a standalone waterproofing product and can be used to tank wetrooms, bathrooms shower rooms or anywhere else that floor and wall waterproofing is needed. Does waterproofing membrane adhere to tile backerboard? Yes – WaterGuard is fully compatible with cement backerboard. If you’re in doubt about the suitability of the construction material you’re using, place a call to the Impey technical team, who can answer any specific questions not covered in the WaterGuard instruction manual. Can waterproofing membrane be damaged and is it possible to repair it? Fitting your tanking membrane carefully and effectively is imperative – as even the highest quality products need to be used accurately for best results and the membrane can become damaged if not handled correctly. Make sure that before you start to fit the tanking membrane, the room is completely clean and free from any dust, grease or residues. Also, check that you have smoothed down any protrusions – so there is no risk of the membrane becoming compromised or spoiled during the installation process. Remember to position jointing tape accurately as referenced in product instructions; with the WaterGuard product this means lining all wall and floor junctions, and ensuring at least 75mm of the tape is going up the wall and 75mm covering the floor. If any damage to the membrane occurs, it is possible to repair it using specialist instructions. Impey recommends that you call its technical team and run through your particular circumstances – so the company can offer advice precisely tailored to your installation. 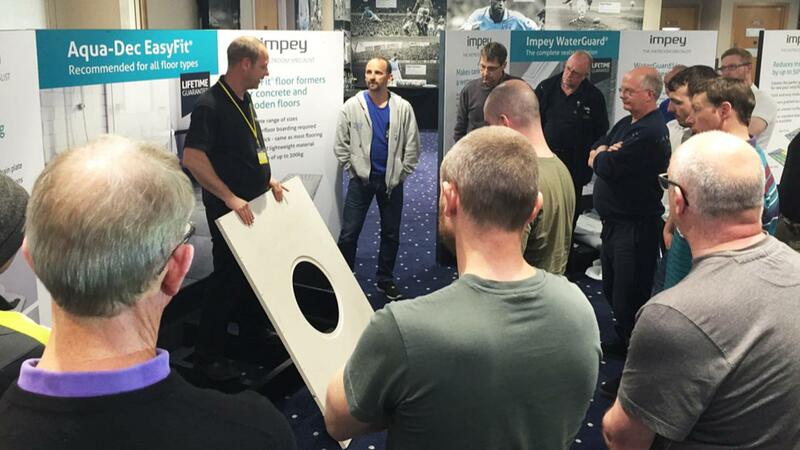 If you would like to learn more about wetroom installation, Impey’s We Are Wetrooms Training Tour will be visiting venues around the UK throughout 2018. Visit www.impeyshowers.com/wearewetrooms to find a venue near you. 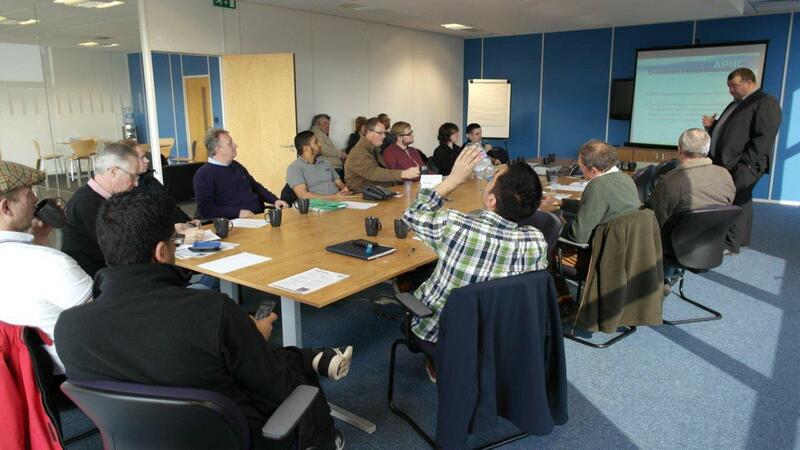 For technical questions, the Impey Technical Helpline number is 01460 258 682. You can also tweet @impeyshowers with questions or images of your finished projects.